Comment: The story of Jesus’ birth is a story of people moving and gathering. The Emperor decrees a registration which spurs the movement of all people going to their own towns to be registered, gathering at inns and rooms. The angels appear in the fields with good news, which spurs the movement of shepherds gathering at the manager to see baby Jesus and his family. The decrees and actions spur movement and gathering together. 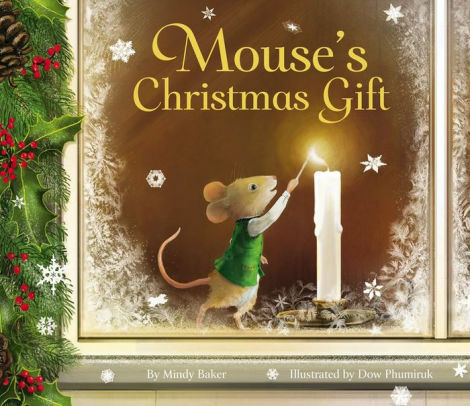 In Mouse’s Christmas Gift, the parson of the church is too sick to have a Christmas Eve service, so it is cancelled. But the church mouse decides to set up the church nativity and light a single candle. These acts spur the movement and gathering of the town—folks see the candle and offer their gifts to decorate the bare church, and they gather to hold the Christmas Eve service themselves. Jesus’ birth brought people together when he first came into the world, and even now, like at the mouse’s church, the story of his birth brings us together. Jesus’ birth spurs movement and gathering in our own places of faith and community to share the good news. Comment: In The Map of Good Memories, a little girl named Zoe and her family are preparing to leave, the only city she has ever known because of a war. 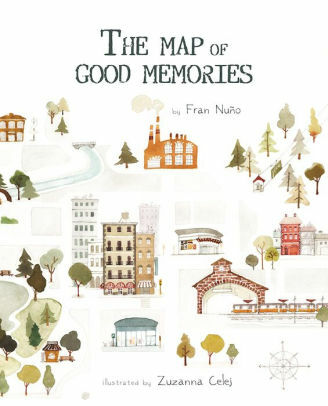 While grieving that they must leave, she decides to create a map of all the good memories she has of her home. On the map she draws the places she loved, like the duck pond and the movie theater. Even though she will have to leave, she can carry the map and the memories it evokes for her when she goes. In our passage, the angels have sung, and the shepherds come to worship and praise, but we are told that Mary “treasured all these words and pondered them in her heart”. We know that though this is a moment of birth and celebration, soon Mary and Joseph will have challenges to face in raising Jesus, and that, as Simeon later tells her, a sword will pierce her own soul, too. There are griefs ahead for Mary, but at this moment she hears the shepherds’ rejoicing and their story of the angels’ song while she gazes on her child, and can treasure these things in her heart, like a map of good memories. Zoe and Mary have their good memories to carry them through what is to come. Like them, we can ponder this Christmas story in our hearts, and cherish those memories, like a map to follow, even as we continue on the sometimes difficult road of faith. Thanks to Sara Anne Berger, pastor at First Presbyterian Church, Nachitoches, LA, for writing these special Narrative Lectionary Links that can be used on Christmas Eve and Christmas Day. Lectionary Links (NL): December 24-25, 2018 by Storypath is licensed under a Creative Commons Attribution-NonCommercial 4.0 International License.